Aquatic plants need carbon dioxide (CO2) to perform photosynthesis with light. They grow through photosynthesis and release abundant oxygen (O2) in water. 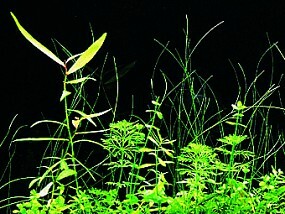 In the condition of insufficient CO2, aquatic plants do not thrive. 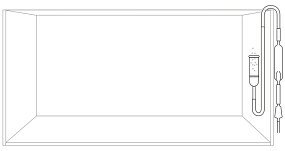 Now let’s do a research on CO2 in aquarium tanks. 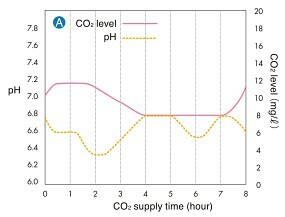 CO2 supplied to the aquarium has the property of lowering the pH level when dissolved in water. 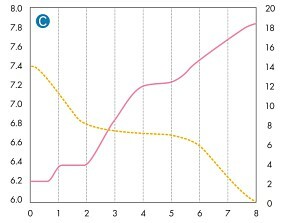 When the CO2 level of the water increases, the pH level decreases and the water becomes more acidic. 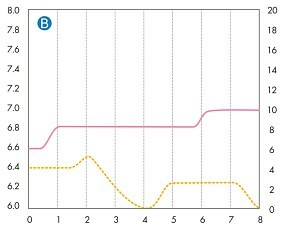 In contrast, CO2 in the water decreases by aeration and photosynthesis of aquatic plants and as a result, the pH level increases and the water becomes more alkalic. Based on these facts, there is a close relationship between CO2 and pH levels of water. Using this relationship, it is possible to find out the approximate CO2 level of aquarium water just by observing the pH level easily measured by tools such as pH Kit and ADA Drop Checkers. This section discusses the research mainly on the changes in CO2 and pH levels. 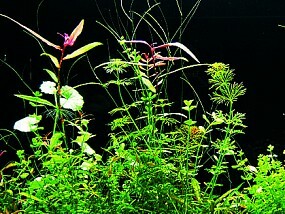 In an aquarium with thriving aquatic plants, the amount of CO2 supply and CO2 absorption by aquatic plants are balanced. A newly set up aquarium tends to be subjected to excessive CO2 buildup due to a smaller amount of photosynthesis taken place in the tank. A bare tank with no aquatic plants shows a strong inverse correlation between CO2 and pH levels. 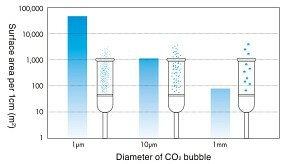 With the same amount of CO2, the bubbles of smaller size have a larger surface area and thus dissolve readily in water. Photosynthesis of aquatic plants slowly becomes active after the lights are turned on and the CO2 absorption also increases accordingly. 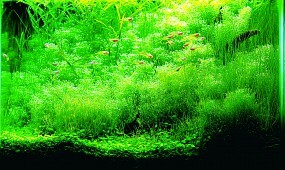 Growth of aquatic plants significantly differs between aquariums with and without CO2 supply. Of course, aquatic plants grow better and green and red leaves become more vivid with CO2 supply.